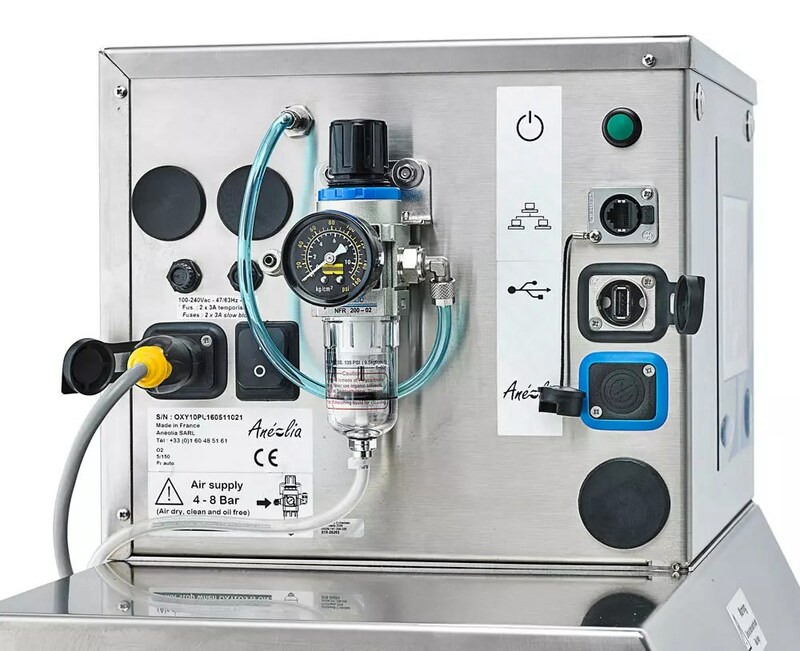 The OXYLOS LEAK/O2/CO2 allows you to measure the rate of O2/CO2 and the airtightness across all types of containers and packaging, with or without protective atmosphere, and without having to use any consumables (no need to use needles or septums). Automated and safe, the OXYLOS can be adapted to your production constraints, providing you with sampling tools and customised positioning. 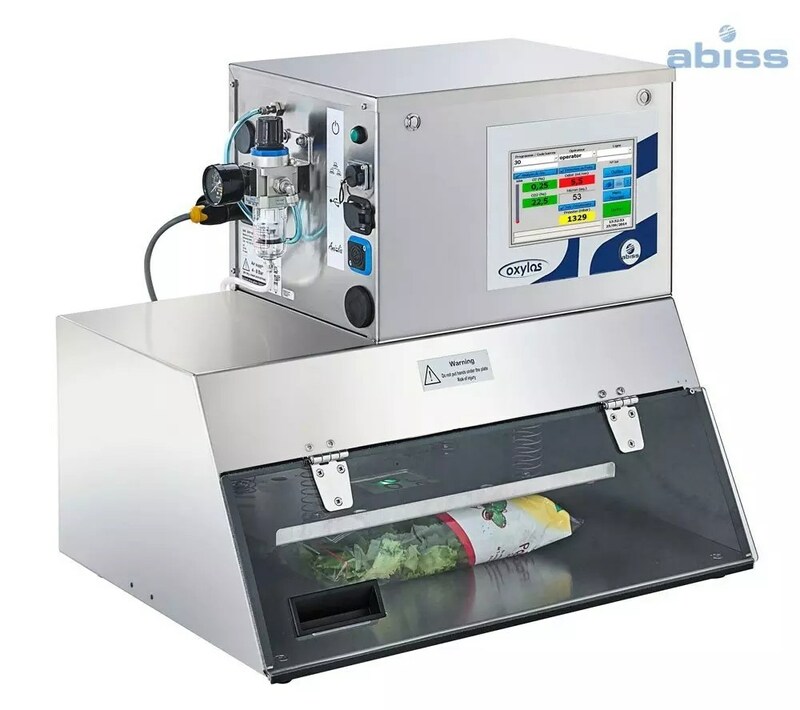 The high-end analyser from the ABISS brand provides you with solutions for packaging when space above the contents is limited. 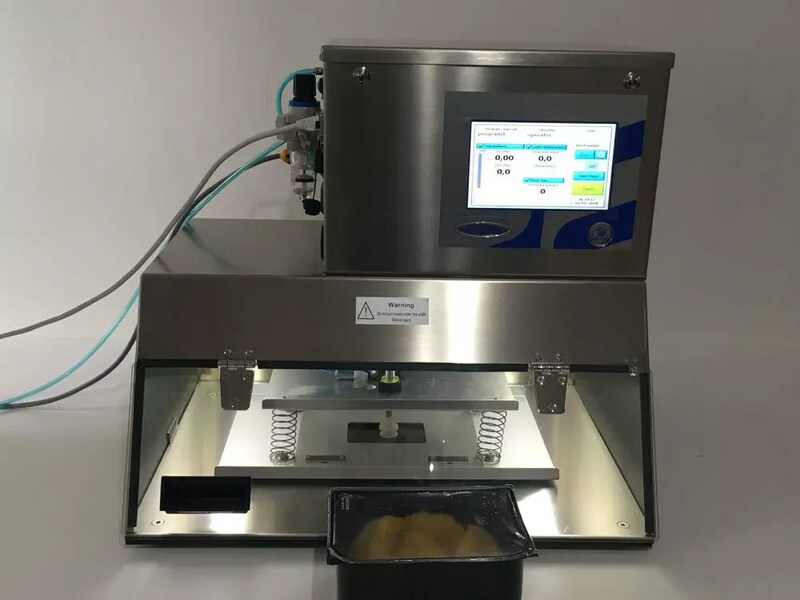 Able to be synchronised to the packaging line, the OXYLOS becomes autonomous and does not require an operator in order to carry out measurements. This analyser is ideal for production. The calibrated leaks make periodic verifications easy to carry out. Check that there is enough space above the product in order to carry out the measurement or use our specially adapted needles and accessories. How to measure the O2/CO2 content and the rate of leak in your packaging without consumables? The response with the OXYLOS analyzer. We present the complete test and the benefits. The test is carried out on a soft packaging.